Oh, Neville Longbottom. You handsome, man, you. 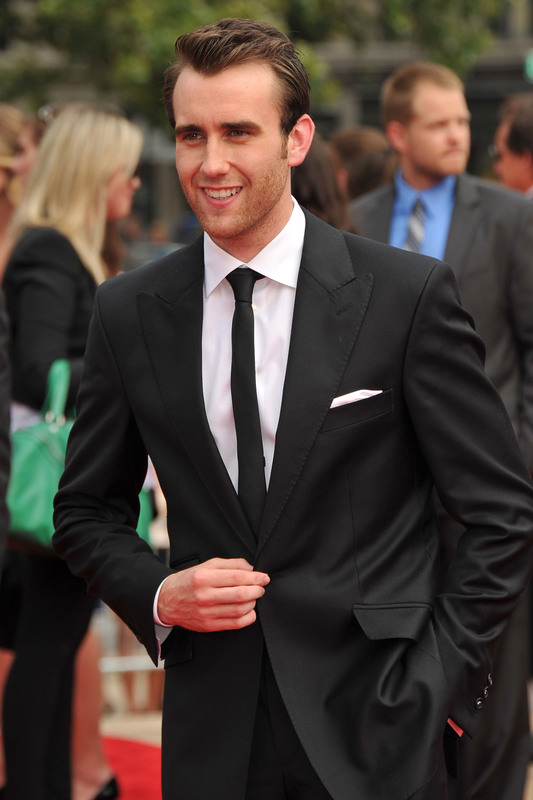 Ever since Matthew Lewis grew up into a gorgeous man, Harry Potter fans can't help but gush over the actor. Through social media, we see an entirely different side to the actor responsible for bringing dorky, lovable, and extremely brave wizard Neville to life. Now, we get to see another side to the British actor, because Lewis made his Instagram public. Praise the wizards and witches! That's right, now Lewis fans can stalk — I mean, browse through his photos. As you can see for yourself by visiting his social media page, Lewis shares all kinds of images. From selfies to fun pics with his friends to Harry Potter reunion photos to posing with comic book characters, the actor is one person I wouldn't mind hanging out with. I'm sure you all agree. Well, since my job is just so difficult, I took time out of my day to scroll through Lewis' photos (there aren't that many, but enough to make your day that much better). After dedicating the appropriate amount of time to each image, I realized I learned quite a bit about the actor. With that said, here are nine things I learned about Lewis/Neville. Lewis, I'll be silly with you whenever you want. I feel better knowing that Neville can probably defeat The Hulk. Yes, I will be watching his BBC dramedy, Bluestone 42 . It's nice to know he supports his country. What a lucky airline staff. OK, not really, but I bet he could. Neville, I need more photos, stat.